Today my daughter wanted to send her grandma a letter in the mail. She knows grandma has a deep love of our Lady and the rosary so she wanted to send a little picture of Mary with the letter. 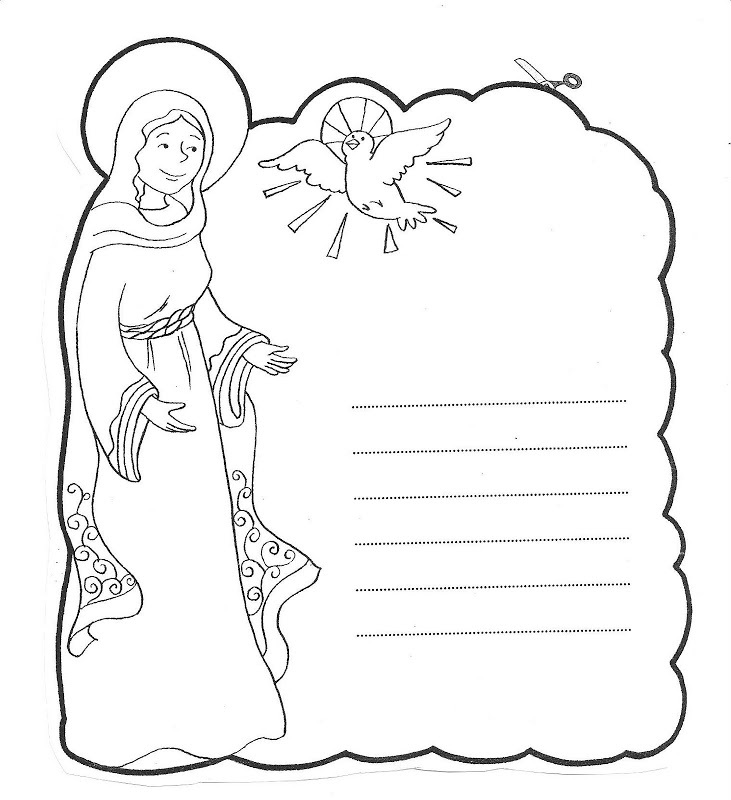 After a quick search we found this lovely free writing paper with a cute image of Mary and the Holy Spirit. It was just so sweet I felt I had to share it. Hope you can enjoy using it too:) Such a great sheet to use for the feast of the Annunciation, writing prayers, letters or poems! I would love to hear how you use it. Colour in Kids Lent 2018 Calendar! © 2014 Littleways Sacrifice Beads. All rights reserved.